Magic City Art Connection sponsors believe that an active arts & culture environment make our city great. Because of the support of key sponsors, MCAC has been FREE for families, children, and the community for 30 years, while existing as a major pillar on the entertainment and cultural landscape. To continue this tradition, we are always searching for great new partners who couple their leadership, vision and goodwill in the community to support a culturally active Birmingham by taking advantage of the engaging MCAC platform. 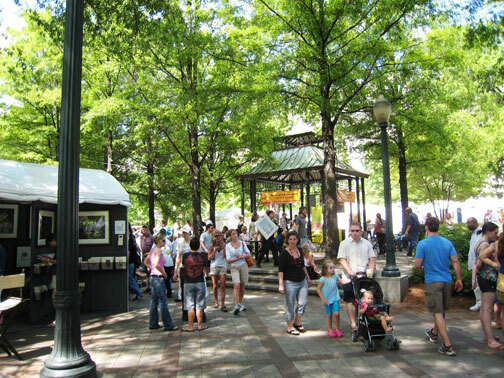 This annual April Festival provides its supporters a prominent position to interface with its 25,000 visitors coming to Linn Park for an art filled experience. Support from regional businesses each year is vital to the festival’s future and continued success. If your company would like to become a sponsor in presenting Magic City Art Connection to the Birmingham Region, please call the Director, Eileen Kunzman at 205-595-6306. Or email her at ekart@FindArtBirmingham.com. Thank you! Please support our sponsors! They do great things for Birmingham.